Audits don’t just happen to those who are trying to skirt the rules or engaging in suspicious behavior. Even if you file every form you are supposed to and provide all the right information, you may still be subjected to an IRS audit. These deductions could trigger an audit even if they are legitimate and you fill out all the proper forms. IRS routinely screens returns to look for mistakes and any signs that something fishy might be going on. Unfortunately, this means that even when you are claiming legitimate deductions, the IRS might want to scrutinize you based on the past behaviors of others who have abused those deductions. Donating a few bucks here and there to your church or the local food bank isn’t likely to raise any eyebrows. But if you are claiming thousands of dollars in charitable deductions, prepare to have some explaining to do. If you are making more than the average charitable deduction for your income range, you are likely to be audited. For example, the average deduction for incomes up to $20,000 is $1,634. For incomes between $20,000 and $50,000, the average is $2,281, and for incomes between $50,000 and $100,000, the average is $2,877. You may very well have made legitimate donations that exceed those averages. You shouldn’t shy away from claiming that deduction, but you should be prepared to document what you gave. You are at a higher risk of being audited as a result, but having the documentation should clear up any questions. Just like with charitable donations, the IRS has a certain threshold in mind for what is reasonable for medical expenses based on income. You are only allowed to deduct medical expenses that are more than 10 percent of your adjusted gross income and that are not reimbursed by your insurance. If you are over 65, you can deduct any unreimbursed medical expenses over 7.5 percent of your AGI. Most people who are able to claim these high expenses either don’t have insurance or they have a very large family deductible. Some people abuse this deduction by claiming that they don’t have insurance and submitting their medical bills for documentation. However, the IRS now keeps track of who has medical insurance, and they can easily check this. Of course, if you have a major surgery or hospital stay, you could easily claim legitimate expenses for this deduction, even with insurance. Just make sure you document everything so that you don’t find yourself in hot water if you get audited. The home office deduction is the easiest one to abuse. Many people claim their living room as their “home office” just because they set up with a laptop on their couch and do some work. That’s not the way that deduction works. You have to have a dedicated space in your home that is used for work and only work. It can’t also double as a home gym or a guest room when family is in town. You then can claim the percentage of your utility bills and other household expenses that the square footage of the office represents. For example, if the office is 10 percent of your home’s square footage, you can deduct 10 percent of your household expenses. The home office deduction is a huge red flag that triggers an IRS audit. Again, don’t let that scare you away from claiming a legitimate deduction — just know that you need to have all the evidence backing up your claim. When reviewing your return, the IRS will look at what’s reasonable. Therefore, if you run a stall at a farmer’s market, you shouldn’t have $10,000 worth of expenses for business lunches. Yet, if you are the CEO of a Fortune 500 company, you might. As with all of these deductions, you should always claim what’s true, and you should always have the documentation to prove it. For business expenses, that might include showing emails for setting up client meetings or including programs for conferences and so on. If you use your own car for business use, you can deduct mileage and some other expenses. However, if you try to claim 100 percent of your expenses, you are likely to automatically get an IRS audit. You will need to have a completely separate vehicle that you use for your business if you are going to deduct the full expenses. Otherwise, the IRS is going to assume that you also use your car for personal things like taking your kids to school or buying groceries. Just keep a mileage log for your business trips, such as meeting with clients or making service calls. Include the exact mileage numbers, the dates, and the reason for each trip. That will be your documentation if the IRS ever comes calling and wants you to justify the deduction. If you do get audited, it won’t be the end of the world. So long as you have been honest, you should be able to clear up the issue quite quickly. An experienced tax audit lawyer from Silver Law PLC can guide you through the audit process to minimize your risk of facing any fines or penalties. An experienced lawyer can explain your legal rights and help you understand the best course of action for a favorable outcome. 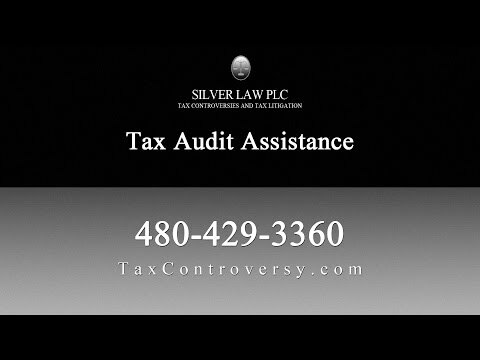 Call us today if you are the subject of an IRS audit.